I love Muddy Waters, but I don’t like swimming in them. 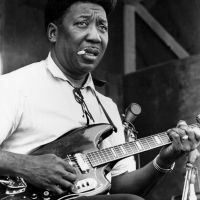 I love Muddy Waters, but I don’t love swimming in them. Ever get sick from surfing in dirty ocean water? I have. Plenty of times. New Jersey surfers know that all too well. According to NY/NJ Riverkeeper (“Keeper”), more than some 23 million gallons of raw sewage and polluted storm water is discharged by combined sewage overflows or “CSOs” into New Jersey ocean waters each year. Maybe it’s because New Jersey courts give too much deference to the New Jersey Department of Environmental Protection (DEP). That’s why Keeper and Hackensack Riverkeeper, collectively the “Keepers,” sued the New Jersey DEP to revoke its general permit. Without getting into the legal weeds, the permit basically allows a certain amount of untreated sewage to spill into streams and rivers when a city’s “combined sewage system,” which puts together both treated and untreated sewage, can’t handle the overflow during heavy rainfall and snow melt. Normally, all of this dirty stuff gets sent to publicly owned treatment plants. Even though the permits for the municipalities issued by the DEP had expired, both the trial court – and the appellate court – ruled that the DEP had more, not less, discretion to allow overage polluting by these cities when they were out of permit. That’s why the Keepers have sought to appeal the appellate court’s decision to the Supreme Court of New Jersey. Now, for that to go forward, the Supreme Court needs to grant the appeal. It should. Even if someone reading this agrees with the substance of what the New Jersey EPA did, it seems to be illogical for a court to grant greater deference to an administrative body to interpret expired permits. It would seem that the deference should be less, not greater. It is in other areas of the law. If you license music but go beyond the license, your are infringing the copyright of the music unless you have a defense. If you go beyond the scope of an easement for use of property, you are normally a trespasser. In short, the scrutiny is normally greater when a permit or license has expired, not less. This can be very dangerous. My buddy who surfs the muddy waters off the Jersey shore knows this all too well.